• Optimal low CG position makes it extremely easy to get the ball airborne for more consistent and controllable distance. • Cut-Thru slots on the sole and crown as well as Titanium brazing combine to provide maximum ball speeds and the highest CT possible. 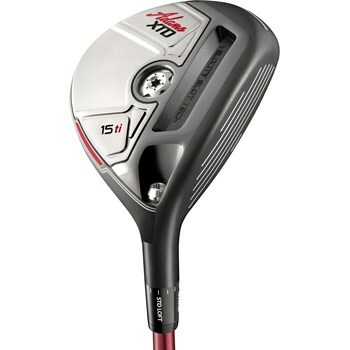 • Progressive face thickness, which is a first for fairway woods. • FastFit Adjustability System features a light, durable sleeve, screw that inserts directly into clubhead.